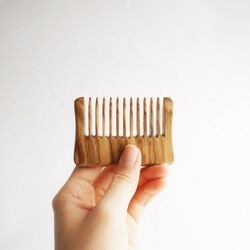 Why use a wooden comb? 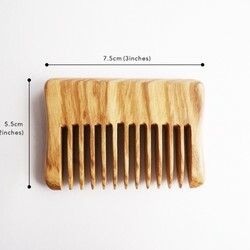 These handmade wooden combs are made by highly experienced and skilled wood artisans from start to finish. 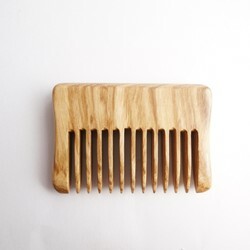 To obtain the natural shine of the wood and preserve the original scent, each comb has been hand polished with sandpaper for at least four hours. The selected natural wood types are of high quality and are aimed for long-term use. 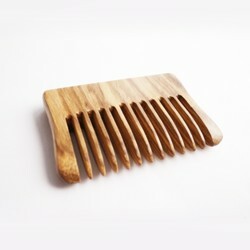 The combs are lightweight and practical for everyday use. They are easy to carry around and are designed to go through hair tangles with ease and comfort. 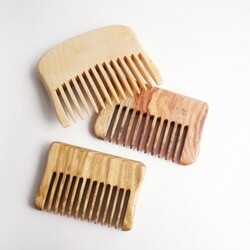 *The scent, color, and pattern of each comb will differ slightly due to the natural variations of wood. 出品数 7,197,056 点 © 2019 Creema, Inc.